First of all I would call it an inference or estimate rather than a measurement, and even then it is not an easy inference. We can work the distance to ‘nearby’ stars by noticing that they shift their apparent position in the sky ever so slightly as we orbit the Sun. By measuring these shifts in position and knowing the diameter of the Earth’s orbit around the Sun, we can work out the distance to these ‘nearby’ stars. We notice that some stars have variable brightness. Over a few weeks their brightness changes and importantly we can relate their absolute brightness to the period of variable brightness. Now the argument goes – if we see a star of this variable type in a very distant region, then if we measure the period of its brightness oscillation, then we know how bright it is absolutely. We then measure how bright it appears – and the ratio tells us how far away it is. Using this technique we can estimate the distance to stars that are a very long distance away. 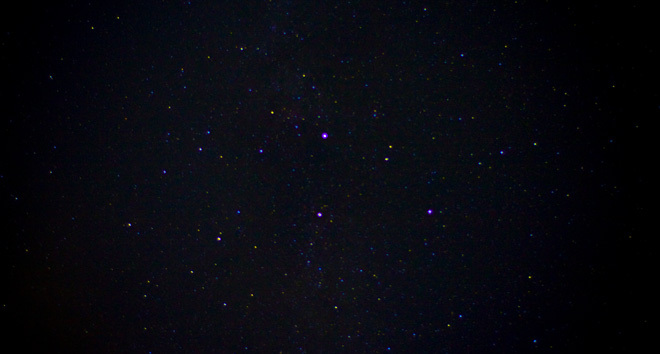 Now we notice that the spectrum of these distant stars is shifted as if the stars were moving away from us. 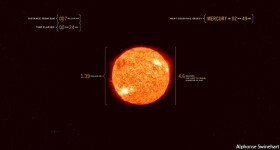 In fact every distant star appears to be moving away from us! The speed of retreat appears to be proportional to their distance from us. 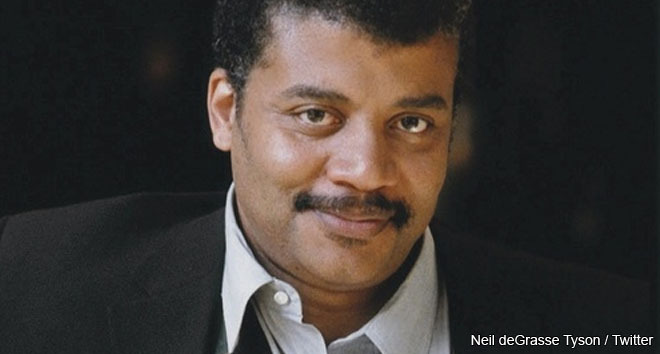 We extrapolate back to find that around 13.7 billion years ago, we would all have been in the same place – the big bang. And that is how you estimate the age of the Universe using light. It is not easy or straightforward, but the inferences have been checked and double checked – and they do seem robust. 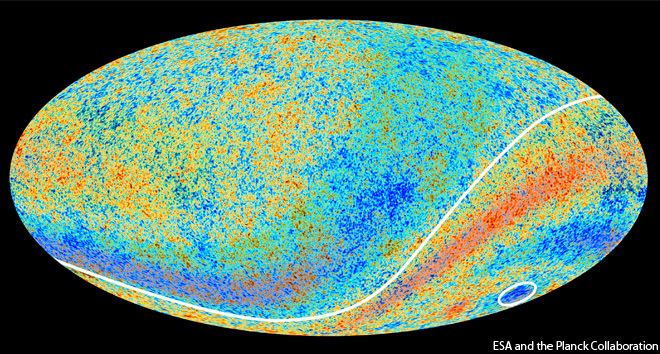 Image: The anisotropies of the Cosmic microwave background (CMB) as observed by Planck. The CMB is a snapshot of the oldest light in our Universe, imprinted on the sky when the Universe was just 380 000 years old. It shows tiny temperature fluctuations that correspond to regions of slightly different densities, representing the seeds of all future structure: the stars and galaxies of today. I noticed that you only answered this question in terms of redshift principles and of observations of the cosmic microwave background (CMB). Could you please explain how I could calculate this value using Einstein’s Field Equations, or even the Friedmann Equations (that is assuming I know the value of the cosmological constant)? I thank you in advance for your time. …it seems like one of these three facts has to be incorrect. What am I missing? It’s that wide due to expansion. 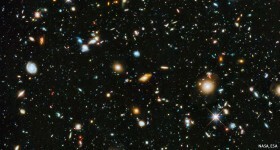 The universe would have a diameter of about 28 billion lightyears across, but the universe expands quicker than light. 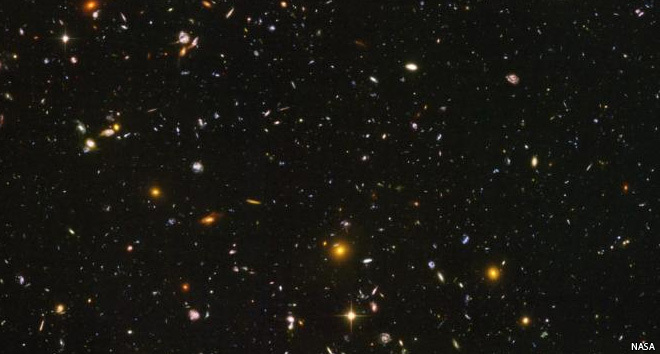 All the galaxies drifted with the expansion of space away from each other quicker than light, causing the diameter to not be what you’d expect. Sorry, typo…I meant 93 billion light years wide. Since time is relevant to speed, couldn’t it only appear to us that old? Is it at all conceivable that speeds greater than the speed of light may actually be possible for objects hurtling through space – perhaps caused by a force that is way beyond our current understanding of physics? ?